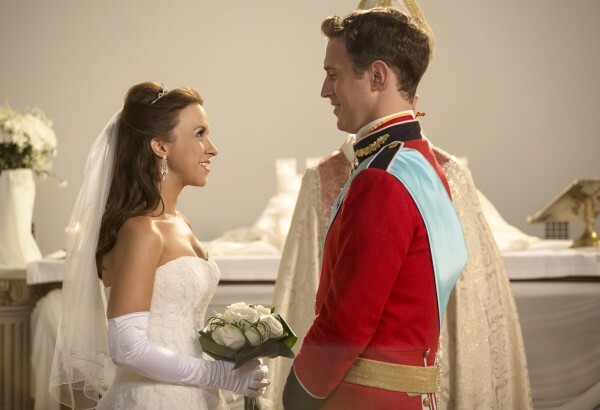 Hallmark Channel goes full wedding Christmas fantasy with A Royal Christmas! Welcome to this vaguely Disney country, expect our kid to be cursed by a witch before she can even walk! I’m beginning to run out of ways to talk about Christmas and romance thanks to the onslaught of films Hallmark is pumping out this year. A Royal Christmas is no exception, featuring more Christmas love, and secret prince action as well. There is also a royal conspiracy as the blue-collar Emily must prove she is worthy to be a princess to the snobby Queen. It’s almost class warfare, except watered down for the Hallmark crowd. A Royal Christmas appears to build on the often-used scenario in romance fiction, while utilizing the fictitious country setting to make things vaguely like a fairy tale. Throw in an ex-girlfriend and this promises to have the potential to be a bit wacky. As the only daughter of an expert tailor in Philadelphia, Emily Corrigan (Chabert) is a kindhearted young woman proud of her blue-collar background. She is a devoted seamstress at the family business and madly in love with her doting European boyfriend, Leo (Stephen Hagan). But as their first Christmas together approaches, Leo drops a bombshell on his unsuspecting girlfriend: he is actually Prince Leopold, heir to the throne of Cordinia, a small sovereign country. Emily is in shock, but her love for Leo trumps her hesitation about his double life and they quickly fly to Cordinia to announce their engagement and spend the holidays with Leo’s disapproving mother, Queen Isadora (Seymour). A Royal Christmas stars Lacey Chabert (Mean Girls) as Emily, Stephen Hagan (Best: His Mother’s Son) as Leo, Jane Seymour (Dr. Quinn, Medicine Woman) as Isadora, and Katherine Flynn (The Beach Party at the Threshold of Hell) as Natasha. 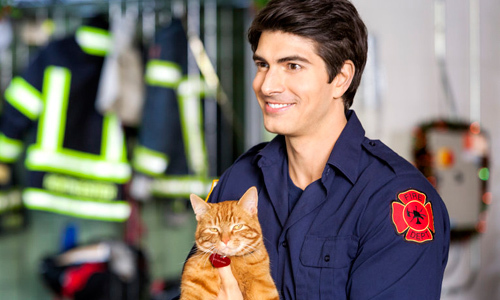 A Royal Christmas is directed by Alex Zamm – the guy who directed Chairman of the Board, The Pooch and the Pauper, Inspector Gadget 2, Dr. Dolittle: Million Dollar Mutts, Beverly Hills Chihuahua 2, Tooth Fairy 2, The Little Rascals Save the Day, and Jingle All the Way 2. I will go on record in saying that despite the awesome Norm MacDonald clip (which I watched as it aired back in the day! ), Chairman of the Board isn’t that terrible. A bigger warning sign is four writers, though they appear to be two different husband and wife teams: Janeen and Michael Damian (Marley & Me: The Puppy Years, A Princess for Christmas) and Tippi and Neal H. Dobrofsky (Smart Cookies, Operation Cupcake) Not only is that much more DTV experience, A Princess for Christmas has an almost identical plot, including the Christmas theme! Basically, this crew knows how to deliver a product for the target audience that will leave them satisfied. So if you love this Hallmark Christmas Romance movies, this is probably your can’t miss film of The 12 New Movies of Christmas. A Royal Christmas premieres November 22 on Hallmark Channel!